After paying on student loans for almost seven years, Carla had an accident that left her unable to continue working in the accounting department of the company she had joined right out of college. Her health was compromised, and she found that she was unable to work at any job enough that she could support herself. Carla applied for disability payments from the Social Security Administration and was approved. Even so, her student loans continued to call her for their $400 per month payments, which constituted a large chunk of her $2,000 a month disability check. She still owes $10,000 in Direct loans and $3,000 for a private loan she took out her senior year to help pay her expenses to study in Paris for a semester. Does Carla have any options? Indeed she does. 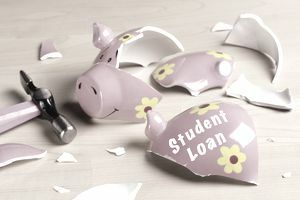 If a student loan borrower becomes disabled to the point where she can no longer obtain or keep a regular job, she may qualify to have her federally-backed student loans forgiven or canceled. Carla can submit documentation from the Social Security Administration of a determination that she is eligible for Social Security Disability Income or Supplement Security Income. If Carla were a veteran, she could submit documentation from the Veteran’s Administration showing that she is not employable due to a service-related injury. The information that a borrower provides is specific and detailed. Visit the Department of Education’s disability site to learn what you or your physician must provide and how to apply. Even if the Department of Education determines that Carla's disability is total and permanent, that decision could be reversed if she later regains health or loses her Social Security eligibility (or Veteran’s disability determination if that applied). Earns more in a year that the federal poverty guidelines for a family of two. If the Social Security Administration sets the review period to less than the 5-7 year standard or determines that the borrower is no longer totally and permanently disabled. If Carla died as a result of her accident, or when she later dies, her federal student loans will be forgiven. Likewise, if Carla's parents had taken out a Parent PLUS loan on her behalf, the loan will be forgiven when the parent or a representative provides the Department of Education with a certified copy of the death certificate.